With Cupid on his way, are your readers ready for Valentine’s Day? We all know this holiday brings high expectations from loved ones, so let Affiliate Window shoot its arrow on your readers and promote these lovely deals to make shopping a dream! No more of the same old chocolates and flowers this year! Promote sweet deals on beautiful jewelry and clothing for her, to romantic getaways and tickets galore! Your readers will have no problem finding unique gifts for their secret admirer this Valentine’s Day! Not already working with Affiliate Window? Join now! See a product you want to promote? Download myAW to easily join programs and generate links! 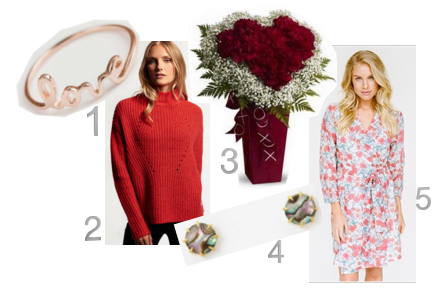 What to get a woman who has everything this Valentine’s Day? Affiliate Window merchants offer everything from the hottest clothing and accessories, to beauty and fragrance, and even romantic trips for two! Offer: Shop handmade jewelry for your special someone this Valentine's Day at Etsy! Offer: Shop Women's Sweaters for Valentine's Day- Free Shipping and Returns for a Limited Time Only! Offer: Order now and save 10% on Valentine’s Day flowers! Offer: Start Valentine's Day off right- 20% off your first order at Isharya! Offer: Get a FREE Tote with $80 Purchase! Offer: Get 17% off site wide! Offer: Get 20% off The Activist Oil! New Year, new gear! No more socks and neck ties, please! Affiliate Window advertisers have everything from sporting equipment, electronics, cologne and more that will be sure to put a smile on his face this holiday! Offer: Valentine's Day on a Budget! Shop Mankind Gifts $20 and Under! Offer: One for you, one for her! BOGO – Get 50% off on Phone Cases and Skins this Valentine's Day! Offer: Shop the Men’s Collection this Valentine’s Day and get free shipping on orders over $95! Offer: Stick to your New Year's Health Resolution this Valentine's Day with 30% off your first order! Terms: For new customers ONLY – You must create an account on site for the discount to apply. Offer: Buy a $15 voucher for $45 to spend on a personalized phone case for your sweetie! Offer: Buy a $20 for $80 to spend on a Gallery-Wrapped Canvas! Add memorable words, vows or a favorite song lyrics over a cherished photo to make your valentine swoon! 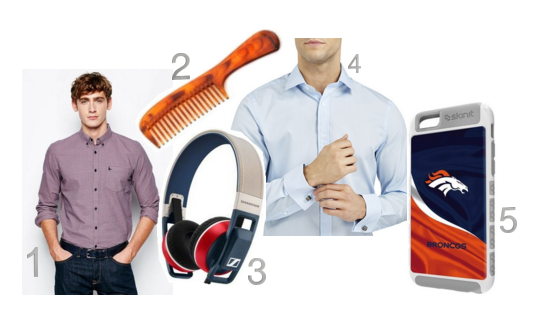 Offer: Get him a gift he will love this Valentine's Day: headphones! Get 10% off Sennheiser headphones with code! Offer: Gift Jack Will’s new Spring Collection this Valentine’s Day! We all know that Valentine’s Day is about celebrating the special someone in your life, but what about the kids?! This holiday, help your readers’ gift for all of the loved ones in their life including the little ones with gifts online and on sale! Promote Bonanza’s hand-picked Valentine’s Day gift list including clothing, toys and more! 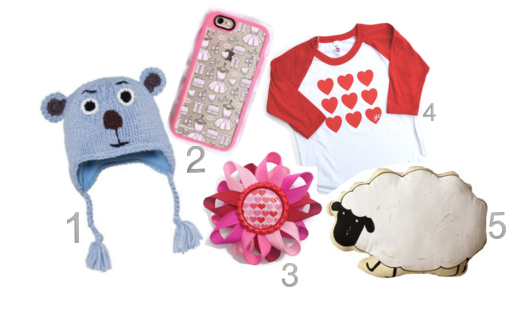 Offer: Shop handpicked Valentine’s Day gifts for the kids! Offer: Shop the Ski Store! Offer: Valentine's Day Special: Up to 10.7% off at Pebble-Pillows.com! Offer: Buy 2 items and get 20% off entire order! Offer: Shop Etsy for handmade gifts this Valentine’s Day! Offer: Treat your Pooch on Valentine’s Day! Have your readers impress the ones they love this Valentine’s Day with the gift of travel! From romantic beach getaways, to adventurous mountain expeditions, our merchants offer all types of travel all over the world! Europe is buzzing with festivities and events all year around. Offer: Can't think of a Valentine's Gift? Save up to $250 per couple when traveling to Nassau Paradise Island! Offer: New Year, Same Valentine! Save 25% off Las Vegas Rooms! Offer: Travel with the person you love, to the places you love! Book your Valentine's Day travel destination now at Booking.com! Offer: Date Night! 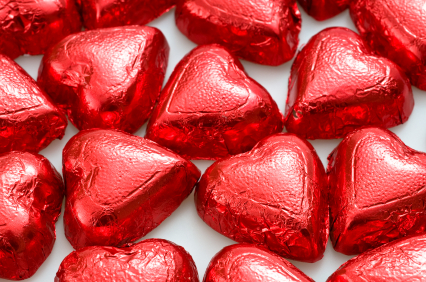 Weekend Getaway: Get complimentary Wi-Fi & extras at Millennium Hotels, U.S. this Valentine's Day! Terms: Offer is subject to availability at participating U.S. hotels. - Valid for Friday, Saturday, Sunday and Monday nights only. Offer: Book an adventure of a lifetime this Valentine’s Day – 30- day Antarctica Cruise! Offer: Valentine’s Day Special – Save up to 25% off! Offer: Save 5% on bookings plus other exclusive benefits at selected Barceló Hotels in Spain and Europe! Offer: Book a Romantic Getaway by the Bay – San Francisco! Offer: Winter Early Booking! Save up to 45% - Dominican Republic, Riviera Maya, Jamaica and Tenerife! From rocking out together at the Bruce Springsteen concert to cheering on their alma mater during March Madness, treat your mate to a memorable night this Valentine’s Day! Don’t let your readers’ gift boring sweaters this year, promote these ticketing advertisers, with events sure to make Valentine’s Day 2016 a memorable one! Offer: Harlem Globetrotters - Get 4 tickets for the price of 3! Take the whole family out for Valentine's Day with this great deal! Offer: Gift an experience of a lifetime – Tickets to the NCAA Final Four! Offer: Does your special someone love the theater? Gift a pair of Broadway tickets - up to 60% below box office price with ScoreBig!